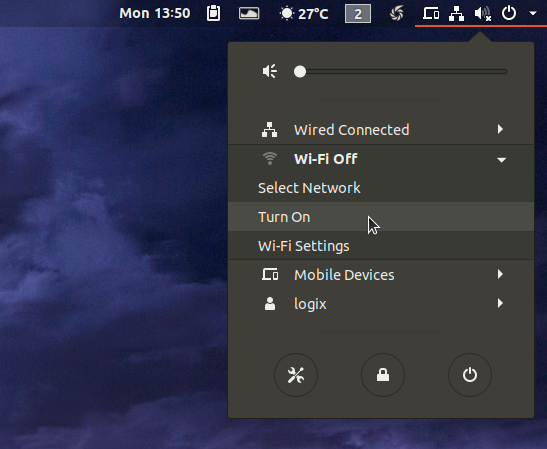 You can use your Linux desktop to share your wired Internet connection wirelessly, by creating a Wi-Fi hotspot. This allows your computer to act like a wireless router, allowing other devices to connect to the Internet via its Wi-Fi. Note that using these instructions you will NOT be able to use the same wireless network to both connect to the Internet and create a hotspot. Your need a wired Internet connection and an unused Wi-Fi on the same machine. 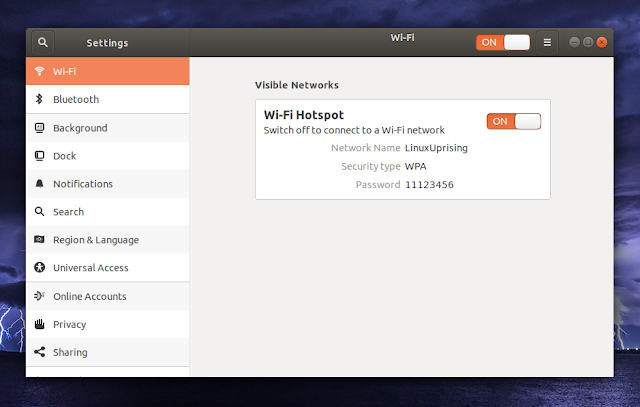 This articles shows how to create an a Wi-Fi hotspot on the Ubuntu 18.04 Gnome desktop, and how to edit its settings (change the password, SSID, etc. 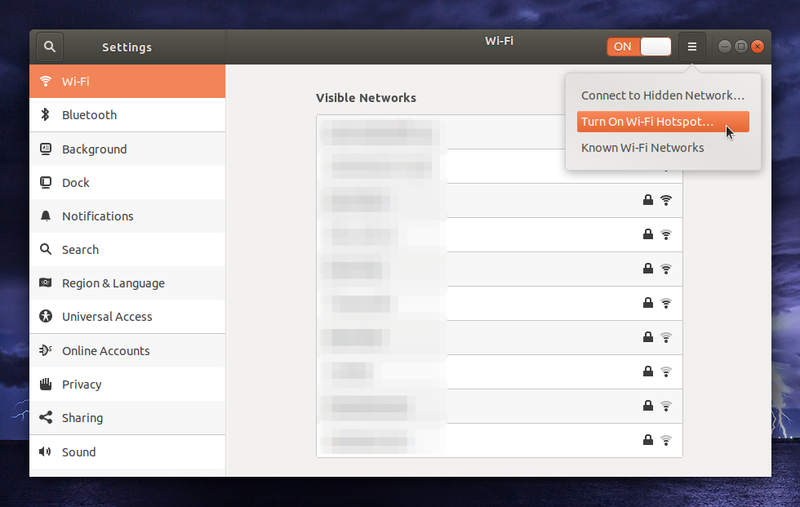 ), a feature that's hidden from the settings and menu. The hotspot uses infrastructure mode (the Wi-Fi mode will be set to "Hotspot") by default, which allows sharing the Internet connection with Android devices. This is done by going to the System menu and selecting Wi-Fi Off > Turn On. 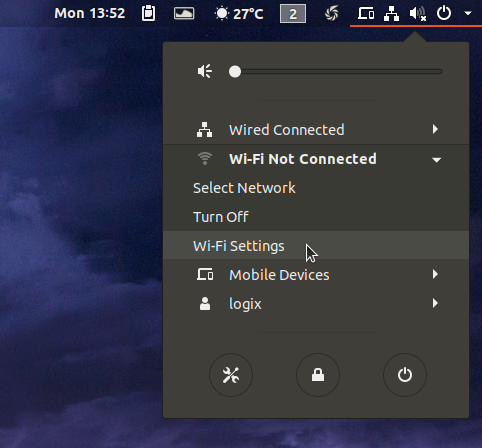 If you are ok with the defaults and don't want to change anything, that's all you have to do to create a Wi-Fi hotspot in Ubuntu 18.04. You won't find any options to change these defaults though, at least not in this settings pane. If you want to change some of the hotspot settings, like the network SSID and password, there are two ways of doing this, which I'll explain below. Option 1: Edit the hotspot configuration file. In this file you can configure the network SSID (it appears as ssid= under [wifi]), password (the Wi-Fi password is the value of psk= under [wifi-security]), and other settings. After making changes to the Hotspot file, save it (to save the file in Nano command line text editor, press Ctrl + O, then Enter, and then exit using Ctrl + X). 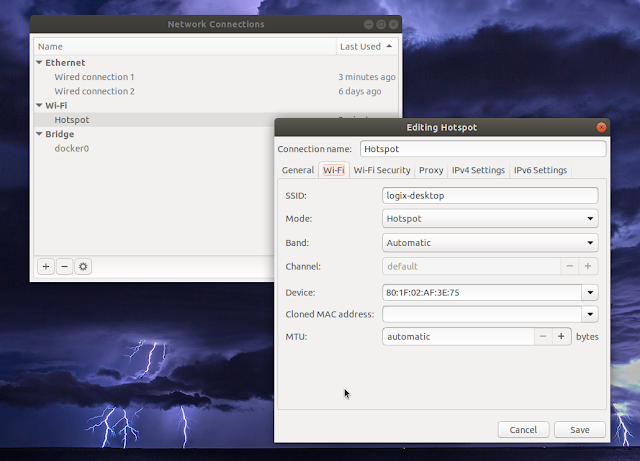 Option 2: NM Connection Editor. If you use nm-connection-editor in Ubuntu 18.04 to change the hotspot password and you use the default WPA & WPA2 Personal security, devices may not be able to connect to your hotspot, displaying an authentication / incorrect password error. At least this is how it worked in my case, using Ubuntu 18.04 to create the hotspot and an Android phone to connect to it. I'm not sure why this happens when using NM Connection Editor, but the issue is not present if you edit the hotspot configuration manually. This is why I don't recommend using NM Connection Editor to change a WPA/WPA2 hotspot password. Do it from the command-line instead (option 1, which doesn't cause any issues). 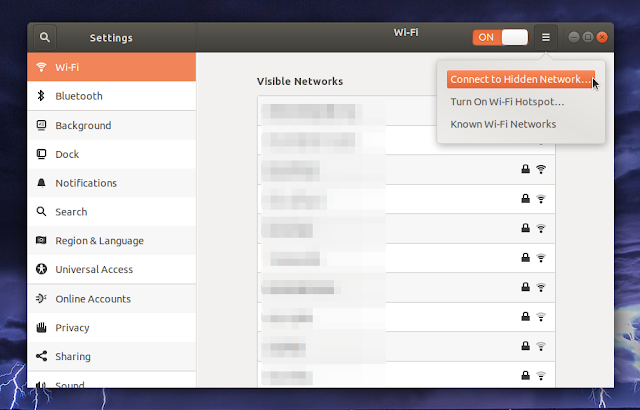 This way your custom Wi-Fi SSID is used, as you can see in the screenshot. 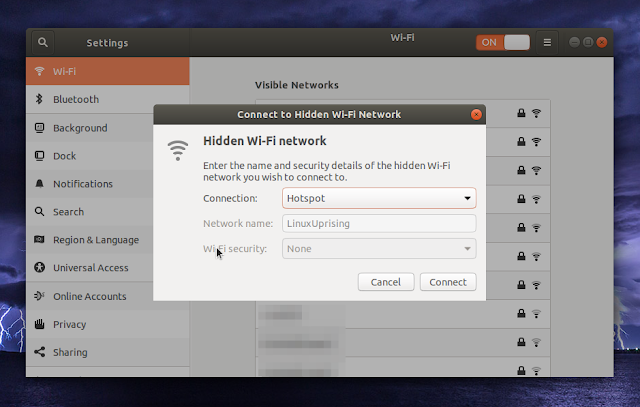 Selecting Turn On Wi-Fi Hotspot... sets your hotspot SSID to your hostname each time it's used, and may reset other settings.